What Kind of Hammock Stand Is Most Secure? Any good hammock stand should be secure and stable; you should be able to rest in your hammock without worry that the stand will overturn. The best way to ensure your stand is secure is to research the stand of your choice before making your purchase, buy it from a reputable hammock dealer, and set it up on a level surface. Read online reviews, and test the stand yourself before you buy it. 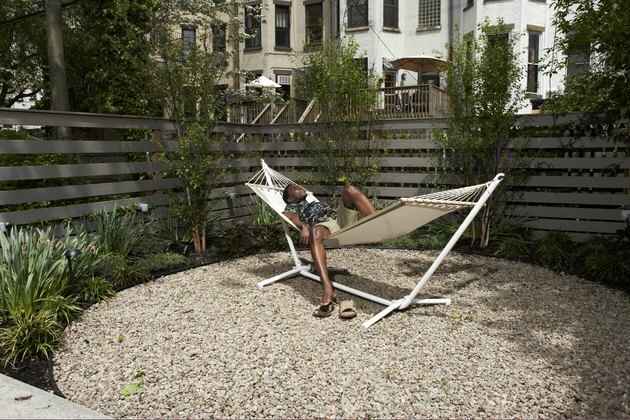 Use a hammock stand on a level surface. Metal hammock stands are popular because of their affordability and relatively light weight. Metal stands will work well on a flat surface such as a deck or a level lawn. Like other types of hammock stand, metal stands are stable on a flat surface, but not on a slope. Like a metal stand, a wooden stand is appropriate for flat surfaces such as patios, decks, and flat expanses of yard. A wooden stand generally is heavier than a metal stand. The weight makes a wooden stand seem more stable than a metal stand, but both types are perfectly adequate when set up properly. A hammock chair is a hammock intended for sitting instead of reclining. Like a metal or wooden hammock stand, a hammock chair stand is very stable and secure as long as it is placed on a level surface. The advantage of a hammock chair over a standard hammock is that the hammock chair stand takes up a smaller space, and so it may be easier to find a level place for it. If you have no level space in your yard for a stand, you can create one. Once you have the right spot for your hammock stand, it should be very stable and secure. For a slightly sloped yard, you can use railroad ties to make a retaining wall. Mark the area you plan to level, and place railroad ties along the length of the bottom of that plane. Drill into the railroad ties with a large drill, and hammer rebar into the hole made by the drill. Continue to hammer the rebar down into the ground until the top of the rebar is level with the top of the tie. Secure each tie to the ground by this method. Fill the slope with soil, and compact the soil with a tamper until it is firm. Use a level to determine whether the area is flat. If it's still not level, nail a second course of railroad ties to the first, and add more soil. 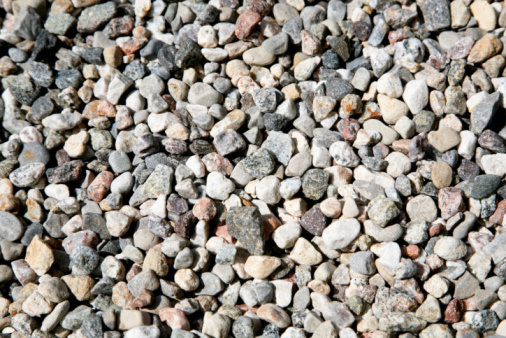 A seriously sloped yard will need a retaining wall installed to code standards by a professional contractor. Use the right type of hammock with the right type of stand. Not all stands will work with all types of hammocks. For example, a metal stand will usually only support a hammock that is spread with spreader bars. To find out what stands are appropriate for your hammock, read the manufacturer's instructions.